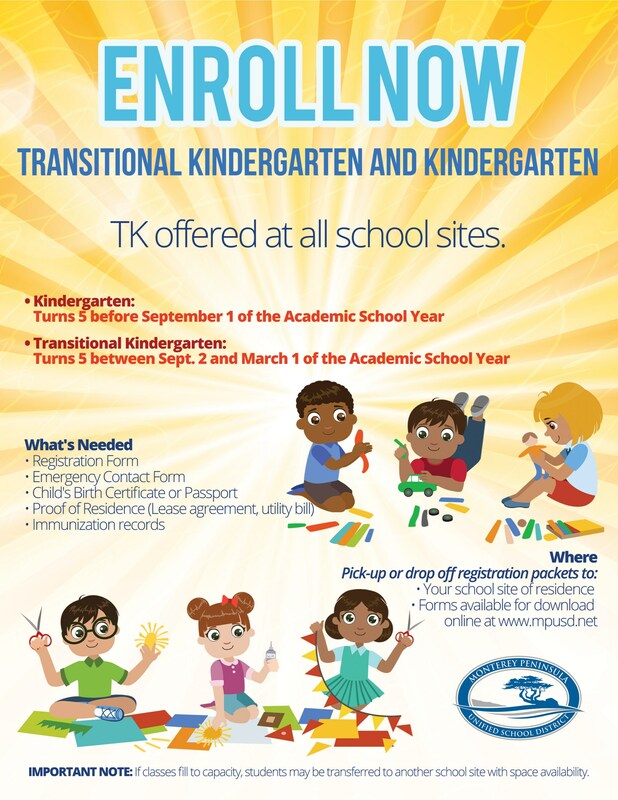 ﻿Transitional kindergarten and kindergarten are offered at all school sites (NOTE: Register early. Space is limited to availability and a student may be transferred to another school should space not be available). Proof of child's age - Prior to admission of a child to kindergarten or first grade, proof of the child's age is required. Evidence of the child's age may include: a certified birth certificate or a statement by the local registrar or county recorder certifying the date of birth, a duly attested baptism certificate, or a passport. When none of the foregoing is obtainable, the parent/guardian may provide any other appropriate means of proving the age of the child. 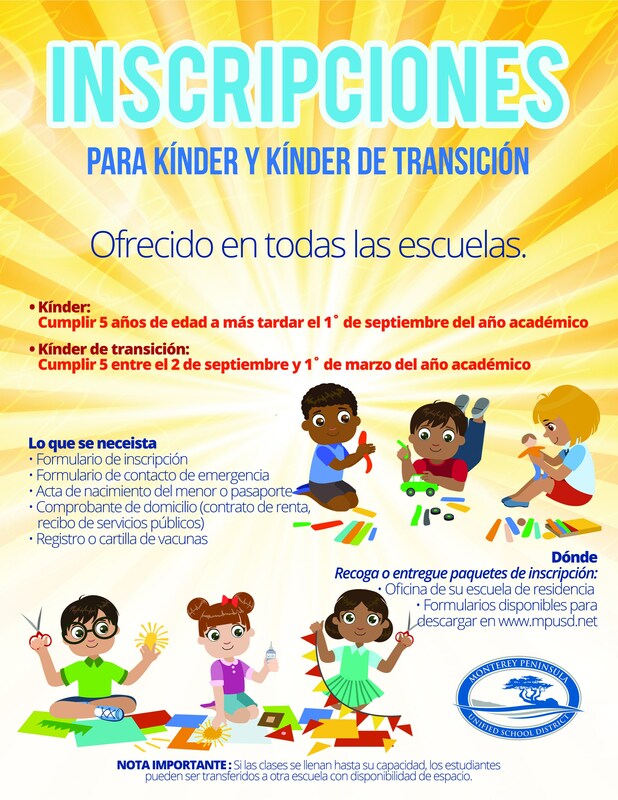 Pick up or drop off registration packets to your school site of residence. Forms also available for download.